Can you believe Fall is coming to a close? We’ve really been enjoying seeing the seasons change here in Kansas City so far! Our favorite thing to do is explore a new area each weekend and it has been so rewarding. We’ve found a few spots that are quickly becoming our go-to’s and with each passing month it’s beginning to feel more and more like home. Recently, we had a weekend full of exploring in a whole new part of the state (a bit south from us). 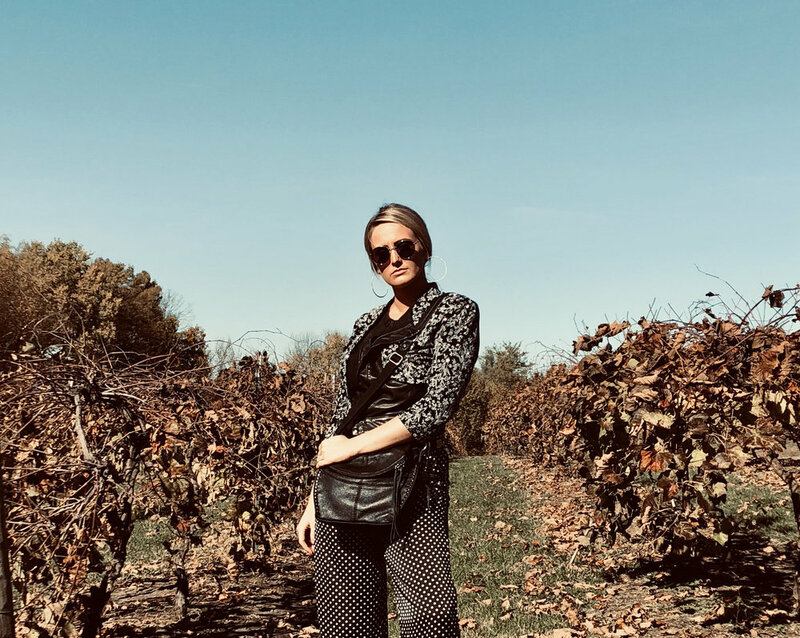 This was the perfect time for me to whip out my new bags from The Sak and curate some fresh fall looks for you; Sarah Riley Rose-style of course. I’ve been so interested in trying a different approach at styling looks and this just felt like the right time to do it! Instead of looking at items to pair and then building accessories and finishing touches around that, for these looks, I began with the main event: the Bag! 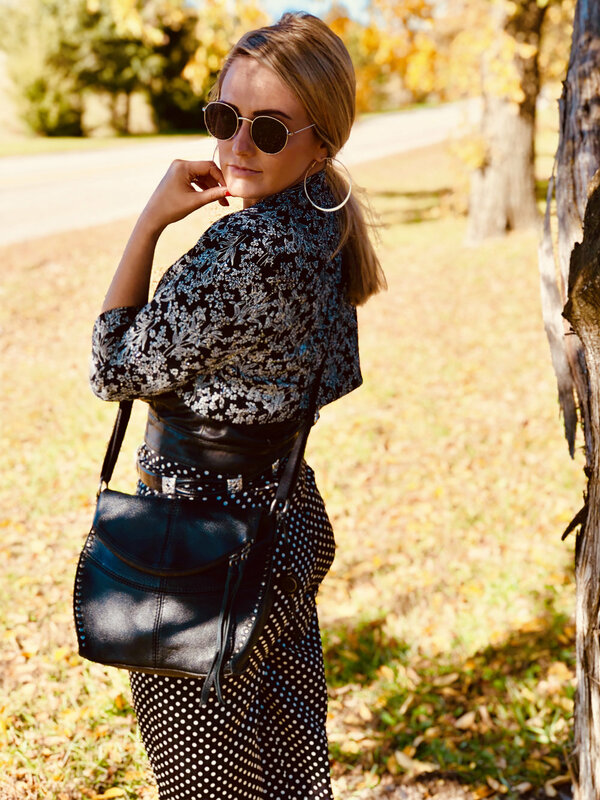 Each bag from The Sak I’m featuring here (the Silver Lake Crossbody - In Black and the Alameda Crossbody - in Tobacco Snake Multi) has such a unique personality. Let me know which look you like most in the comments below! Enjoy! The Silver Lake Crossbody is black and western-like, with silver studs and impeccable fringe. My inspiration for this look was the man in black himself: Johnny Cash. 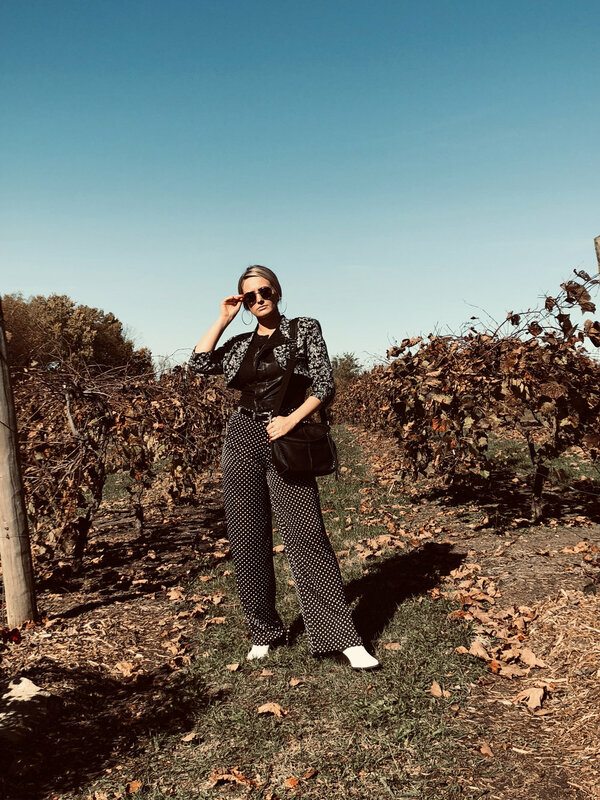 But you know me, I’m never interested in just pairing what’s expected - I started with the high-waisted polka-dot pants and realized I could easily adorn my black western-style belt for a bit of southern punch. On top, I grabbed my soft leather vest and styled it as a shirt. Nothing says rodeo like a good Bolero jacket, am I right? This sparkly stunner is a vintage gem of mine. The round sunnies add a Lennon-esque mystery that feels welcomed. When it came time for the shoes, I knew I wanted them to stand out and white felt like just the right contrast with this dark vibe. I finished off the look with these simple silver hoops. I’m quite proud of this one, overall. 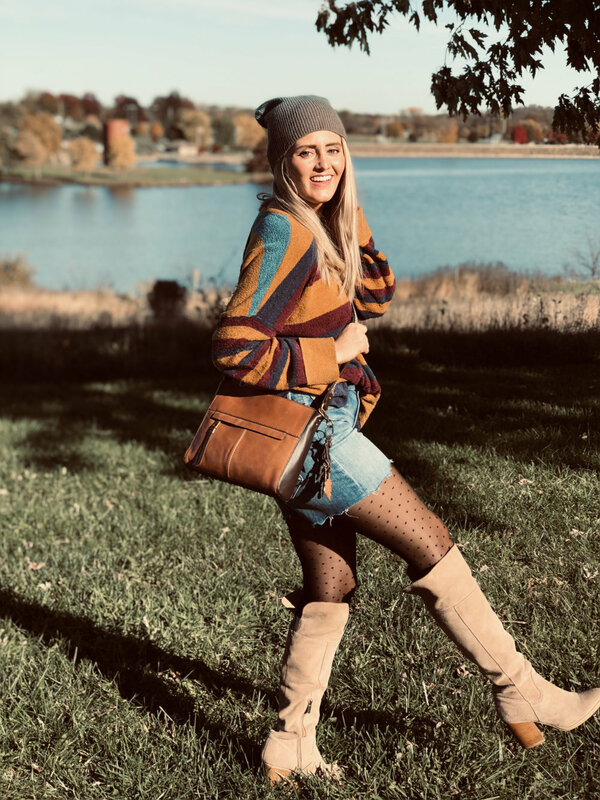 The Alameda Crossbody is earthy and desert-like, with soft, buttery leather and a structured soul, with a bit of boho flair. I started with the dotted leggings on this one. They felt like the right unexpected element to get this look started. I figured some high-waisted scalloped shorts would be a fun way to break into a different spin on denim. I knew this oversized sweater would be a perfect fit for the top. 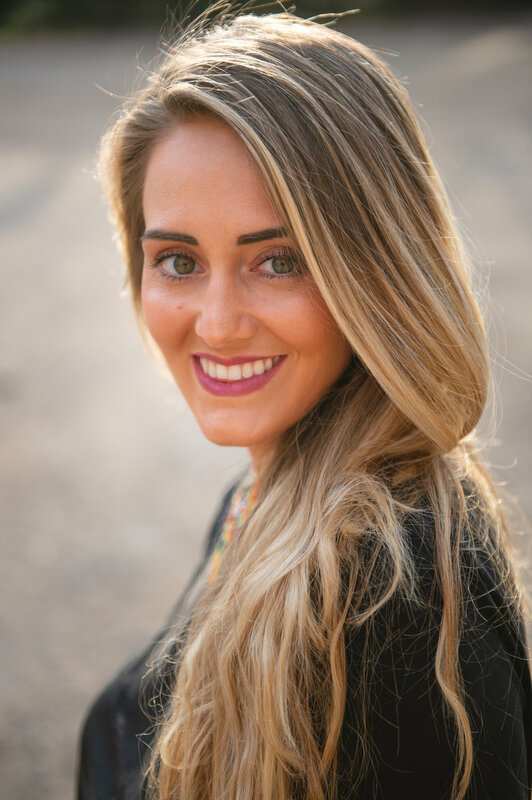 With it’s colorfully fall tones and cozy vibe, it was a nice way to bring in a fall staple in a new way. The ombre blue beanie adds a bit of rough and edginess to the vibe. 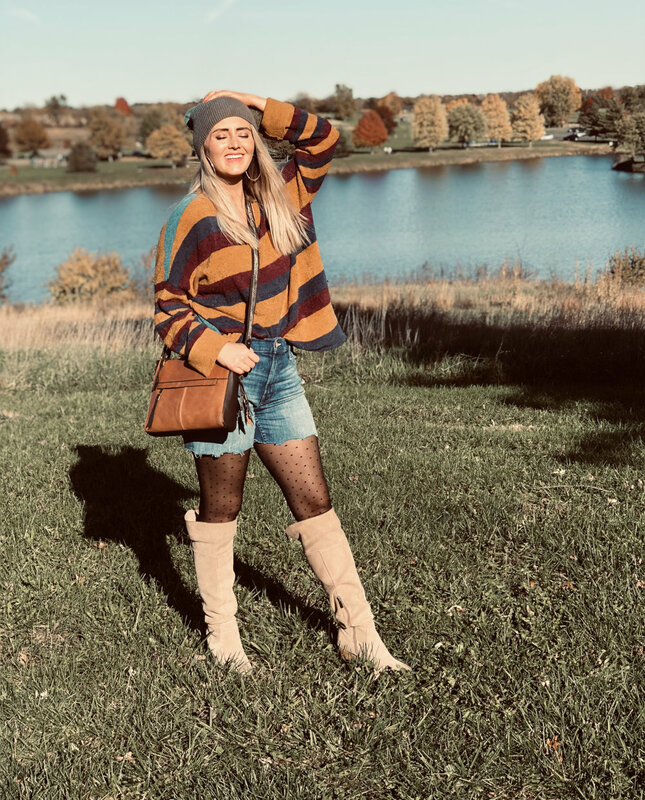 Finally, my over-the-knee suede boots bring in a complimentary suede to finish this look with a blend of varied textures and brown, earthy tones that when paired together, truly bring out the beauty of this bag. These purses were provided c/o The Sak. All opinions are my own.